This special announcement comes from a personal friend and fellow Aztec, who is losing her dear friend Derricka Grundy to Sarcoma Cancer. 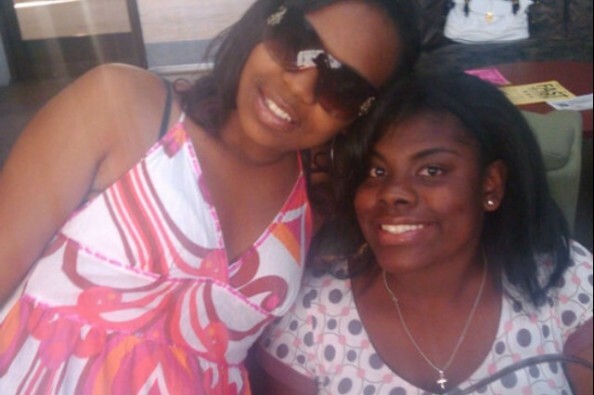 Melonie Garbutt, who is the friend and sister of Derricka Grundy, has asked me to share a fundraising site to the world in hopes of raising money (and prayers) for proper burial rites for her friend, during this difficult time in her life. Knowing the power of social media, I am confident that she will not only reach her goal but fulfill a promise to a dear friend and sister. Here is Melonie’s request to the world! It’s hard for me not to question God in these types of situations. So, I’m simply going to ask for prayers of acceptance and understanding. My friend, and sister Derricka Grundy is currently losing her battle with a very aggressive form of Sarcoma cancer. It’s hard to even address the pain at this moment. But I’m asking for any support I can get to help her family with arrangements. As well as love and prayers to help them to continue to watch her in her final stages of this treacherous fight. Again, anything helps. Thank you in advance. –Melonie Garbutt. I am happy to say that Melonie is half-way home but there is still a sense urgency to reach her goal because of Derricka’s final stages of sarcoma cancer. Thank you all for reading and I am hoping you will be making a donation today! Go Aztecs!